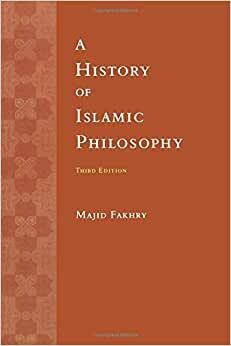 Fakhry discusses Islamic thought and its effect on the cultural aspects of Muslim life. In the final chapters, he examines the rise of pan-Islamism and the many currents it has generated in the last two centuries, including secularism and fundamentalism, which are still pitted against each other throughout the Muslim world. Majid Fakhry is professor emeritus of philosophy at the American University of Beirut and adjunct professor at Georgetown University. He is the author of several books, includingAverroes: His Life, Works, and Influence; Islamic Philosophy, Theology, and Mysticism; Ethical Theories in Islam; Al-Farabi, Founder of Islamic Neoplatonism; andPhilosophy, Dogma, and the Impact of Greek Thought on Islam, in addition to fifteen titles in Arabic. He has recently published a translation of the Qur'an entitledAn Interpretation of the Qur'an: A Bilingual Edition. The book itself is the best around, still, after these many years. And the bookseller is excellent.